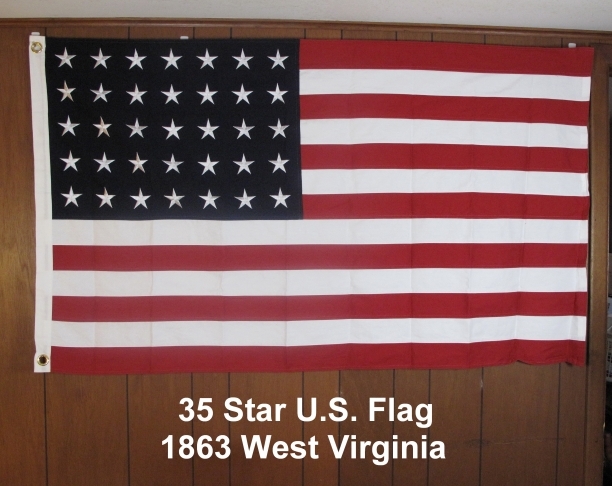 Flag used after admission of West Virginia on July 4th, 1863. Available in two versions. Star pattern & linear version. Both 3'X5' cotton, cut & sewn. Beautiful flag with 5 rows of 7 stars each. Satisfaction guaranteed. 100 % refundable for 10 days upon receipt.